This is a slightly healthier snack that stoners can enjoy… And get stoned while eating it as well! Toasted bananas aren’t nearly as bad for you as pizza so if you’re looking to stay a bit healthier, this medible is highly recommended for you. Not only that but it’s a good snack for a cold winter’s night and will distract you from the awful snowstorms some of us are about to deal with! And if you’re not going to freeze this winter, you can enjoy these snacks while laying by the pool. Turn on your oven to 275 degrees. Spread the coconut out on a baking sheet so that it forms a fine layer. Toast them in the oven until they turn golden brown. Remove them from the oven but be careful to not inhale a face full of the air that comes out of the oven. I’m not 100% sure why but the recipe I read said don’t do it so don’t. Slice the bananas in to small 1″ slices and roll them around in the budder that you’ve melted and lemon juice mixture. Do this to all of the bananas and then lightly coat them with the toasted coconut. The budder/lemon mix will make the coconut stick to the banana easily. This recipe is super easy and can be made by pretty much anyone. Enjoy your banana treats! 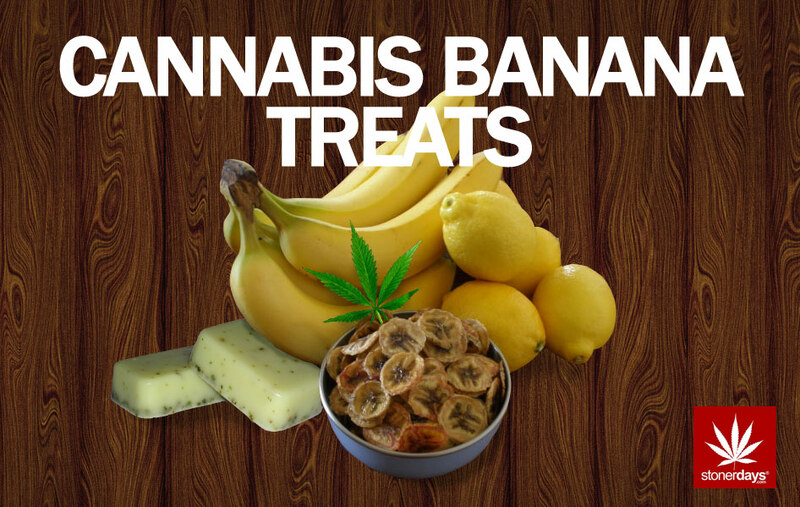 This entry was posted in Stoner Cookbook and tagged CANNABIS BANANA.